The Christmas Season is fast approaching and that means its time to shop for amazing holiday dresses and shoes that you can wear to all the Christmas party’s. If you are looking for some fashionable and holiday-themed hairstyles to match your dresses, tights, and shoes then try these Holiday-inspired hairstyles that are perfect for your party season. This a great hairstyle to show your festivity and Christmas Spirit. Be the present with a hair bow hairstyle. A voluminous half-up half-down hairstyle is always a great choice for a Christmas party. Style it with a bow to follow the Christmas theme. Add a bow to your hairstyle for a Christmas look. It’s incredibly easy to braid your hair with a ribbon intertwined throughout your braid. Choose a color that matches your dress or the traditional red and green for a simple Christmas party look. Braids are always perfect for Christmas. Throw in a ribbon for extra Christmas spirit. You can’t go wrong with curly hair on Christmas. 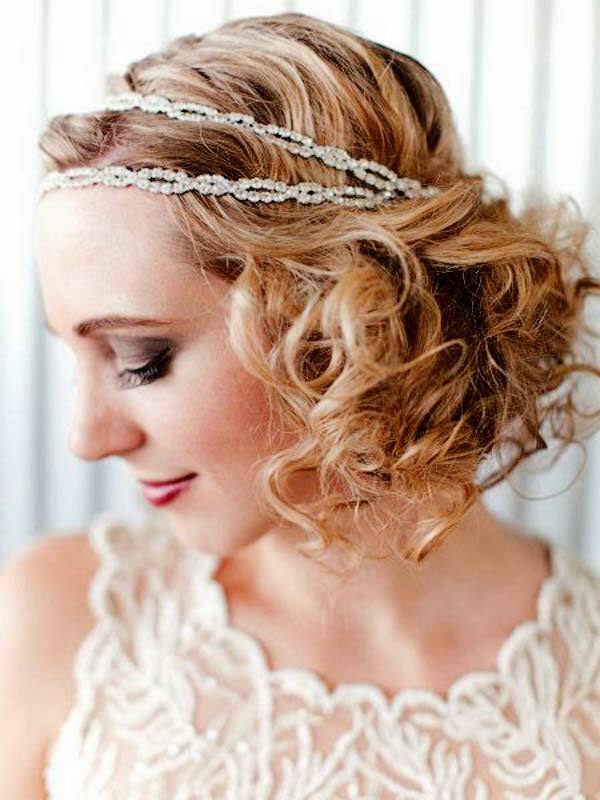 Style with a jeweled headband for an elegant and timeless snow-princess look. This elegant look is perfect for more formal Christmas party’s. This simple hairstyle is festive and gorgeous. Curl your hair with a large-barrel curling iron and throw on a cute Santa hat to get in the holiday spirit for your Christmas party’s. Throw on a Santa hat with your curly hair for a simple Christmas hairstyle. For those who are really in the Christmas Spirit then try the classic Cindy Lou Who Christmas hairstyle. 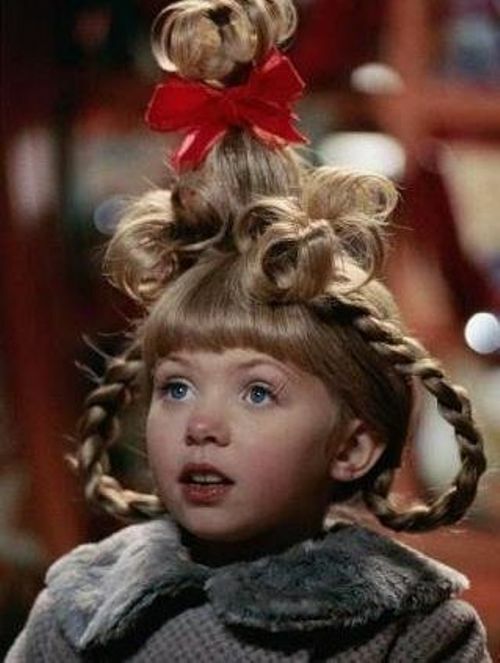 We love Cindy Lou Who’s Christmas hairstyle!